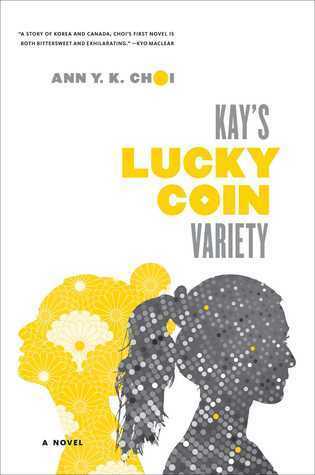 From Goodreads ~ A bittersweet coming-of-age debut novel set in the Korean community in Toronto in the 1980s. This haunting coming-of-age story, told through the eyes of a rebellious young girl, vividly captures the struggles of families caught between two cultures in the 1980s. Family secrets, a lost sister, forbidden loves, domestic assaults - Mary discovers as she grows up that life is much more complicated than she had ever imagined. Her secret passion for her English teacher is filled with problems and with the arrival of a promising Korean suitor, Joon-Ho, events escalate in ways that she could never have imagined, catching the entire family in a web of deceit and violence. This is the story of teenager Mary and her family in the 1980s. They had immigrated to Toronto from Korea in the 1970s. Her mother and father eventually save enough to open a convenience store on Queen Street W (not far from where I live). Her parents spend all their time running the store in order to make a better life for their children and Mary and Josh, her brother, are expected to work in the store. Mary and Josh are embracing life in Canada whereas their parents (who don't speak English) are still clinging to the traditions of the past from Korea. Her mother criticizes Mary and Josh because they have no Korean friends. It is expected that Mary will go to university and then be married off to a Korean husband but Mary has other ideas. She's always had a crush on her high school English teacher and wants to act on it once she graduates from high school. Joon-Ho, the son of a friend of the family in Korea, arrives in Toronto and there is a marriage expected between he and Mary. This is the debut novel by this author and I enjoyed it. I liked the writing style and the story. It is written in first person from Mary's perspective. It follows her from being a mid-teen to a graduating from university. What attracted me to this book was that it was set in Toronto and it was cool that things happened not too far from where I live ... I can almost picture their convenience store. I look forward to reading future books by this author.